Little ones at Oishei Children's Hospital got an early Halloween treat Wednesday. BUFFALO, NY - Little ones at Oishei Children's Hospital got an early Halloween treat Wednesday. The Spirit of Children program hosted a party for patients and their families, complete with crafts, costumes, and candy! "Lot's of fun. Lots of smiles, everybody's having a good time," said Kristen Kenny with the program. "The kids are all excited about trying on costumes, and we love seeing the little smiles on their faces." Spirit of Children has collected donations for months to put on events like this one. 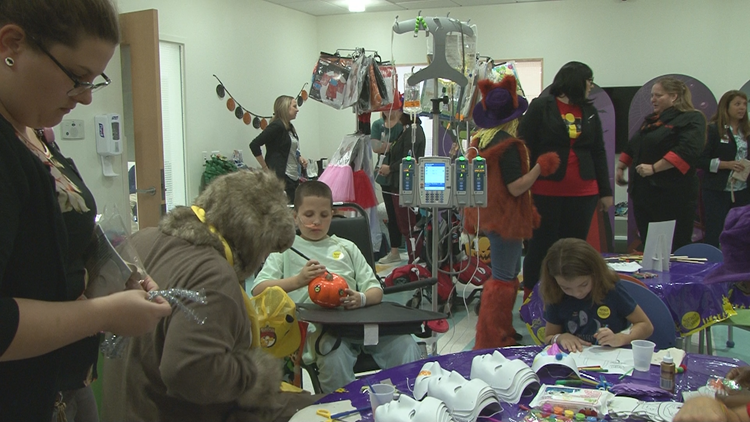 The Halloween party at Oishei Children's is one of more than 1,000 taking place at children's hospitals around the country.